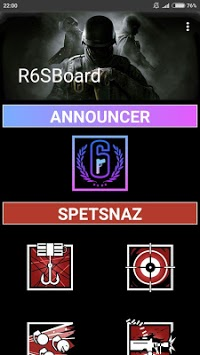 Find many voice lines of operators from Rainbow Six Siege in this soundboard! 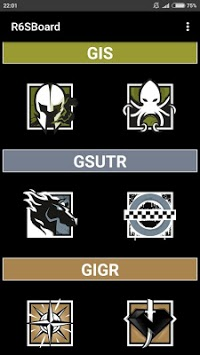 This Rainbow Six SoundBoard contains almost all voice lines, which exsist in the game "Tom Clancy’s Rainbow Six Siege"! 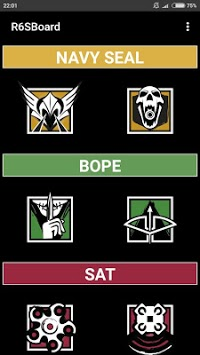 You can easily find your favourite operator and listen to the different phrases, wherever you are. Now this app have about 2500 sounds and will be filled with new content in future updates. This application is in no way related to Rainbow Six Siege or Ubisoft or their registered trademarks. This is just a application developed by a player of Rainbow Six Siege for other players. Tom Clancy's Rainbow Six Siege is a registered trademark of Ubisoft and its affiliates.